Judith Christie McAllister has proven yet again why she is considered to be the “First Lady of Praise & Worship”. As the newly appointed president of the music department of the Church of God in Christ organization, McAllister oversees all music within the organization, on Sound The Trumpet, she is the orchestrater of a sound that fans have grown to love and expect from her. Recorded LIVE at New York City’s famed Allen A.M.E. Cathedral, the album starts with the title track, Sound The Trumpet, a song that gets the CD off to a nice start, as the lyrics boasts “There’s a call to the body of Christ for righteousness, true holiness, there’s a sound in the spirit we can’t ignore”, prompting the body of Christ to “Sound the Trumpet” and put on the garment of praise by any means necessary! The CD moves forward with the ever so popular, Chris Tomlin penned “How Great is our God”, but with a JCM twist. 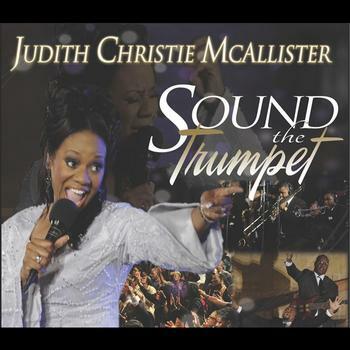 The song “Fire”, made famous by Donnie McClurkin on the platinum selling, “Live in London and more.. has that classic, signature Judith Christie McAllister sound and her vocals are flawless. Another one of the premier highlights come on the song “Just For Who You Are” featuring Nancey Jackson- Johnson. This song is pure worship that will make the listener lift their hands in adoration. Other guest appearances include Sunday Best finalist, Michael Pugh (Draw Me Nearer), T.C. 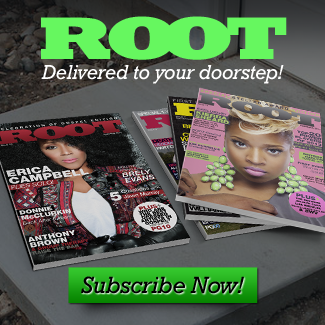 Bereal (Fire) and Markita Knight (Thank You For The Healing. Out of the 11 songs on this project, McAllister penned 8 of those songs, making for great publishing. It’s been five years since McAllister’s last offering and it’s no secret that McAllister’s had her share of ups and downs over the past few years, however, she is back with another solid album with praise in one hand and worship in the other.